Stairs are always subject to wear and tear. After all, every day, everyone in your family goes up and down them various times. This can cause your staircase covering to become loose which is unsightly in your light hall or modern living room, isn’t it? There’s a straightforward solution which furthermore can be carried out rapidly – staircase renovation. And the staircase covering, that you choose at Upstairs! Is your old staircase covering worn and do you want to give your stairs a new look? Then choose staircase renovation. In just one day, a team of specialists will renovate your modern or country staircase with a staircase covering of your choice. The number of types of staircase covering is endless. However, for every style of interior, there is a suitable staircase covering. 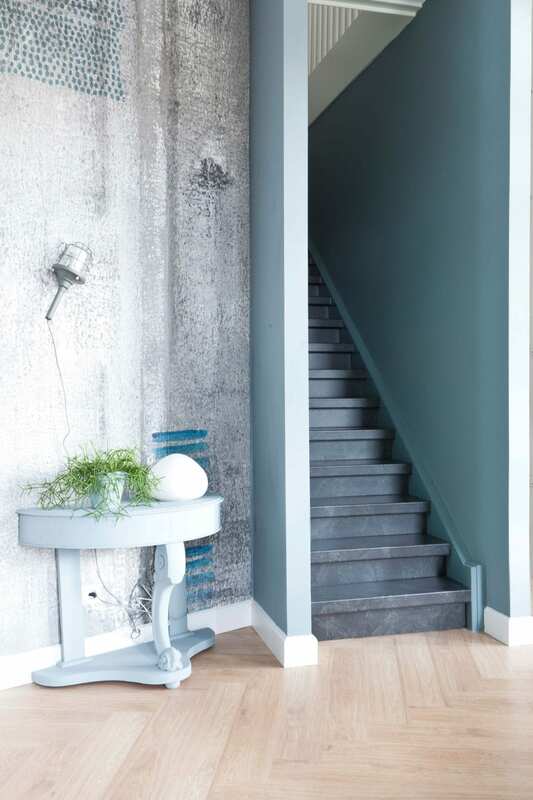 What about an off-white coloured covering for your stairs in a clean and modern interior? Or soft colours for a thoroughly country staircase covering? Or perhaps the warm appearance of wood for a natural looking staircase covering? If you’re looking for inspiration, take a look at the examples in our blog! Here’s a tip: create a mood board and put your favourite interiors and staircases in a prominent position. This will help you to become more familiar with your own interior style and preferences. A wooden staircase covering gives your stairs, and by extension your entire interior, that typically charming wood look. We definitely recommend this for any style of interior! Leather staircase covering Do you want to be daring? A staircase covering in leather acquires quite a weathered look over time. This means that your stairs will become more attractive the more that you use them. Anti-slip staircase covering Keep the safety of your stairs in mind and choose an anti-slip staircase covering. Do you need advice about staircase covering? The specialists from Upstairs will be pleased to tell you everything about the various types of staircase covering. Contact us for no-obligation advice!